Knowledge management and learning and development (L&D) are tightly linked in many ways primarily because developing skills and behaviors and sharing knowledge are at the core of why each function exists. Learning professionals are faced with a rapid emergence of new multimedia technologies that can enhance both engagement and effectiveness. However, a new breed of immersive technologies has come to the forefront of learning strategies. Get more value through organic learning - that has the organic quality of self-directed learning but is shaped to the needs of the organization. While it is not a cure-all, new work in artificial intelligence (AI) has substantially addressed this classic training transfer problem by supporting learners in-between sessions with an artificially intelligent coach. In the last month, how many meetings did you attend in which someone participated via phone or video? How many team members, clients, vendors don’t reside within the four walls of your work location? 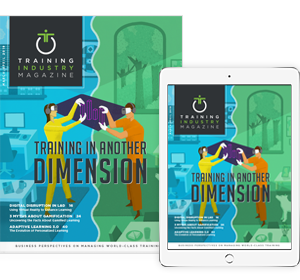 Sustainability is top of mind for many training and development leaders, which is a good sign that the field understands that one-and-done training is quickly becoming unacceptable. Building boosts into the sustain phase of your learning journeys is critical if you want to drive performance-based application. When faced with falling retention rates, managers must grasp the magnitude of the impact that they have on employees – for better or worse. The quick pace of technological innovation across industries and countries means increased demand for highly skilled IT professionals. However, this demand is not being met.